The plumbers and staff at Mattioni are great. The service is impeccable. Jared and his partner were patient and professional. They did an excellent job. Jared was efficient and professional, but he also lingered a while to talk after the work was done, suggesting that Mattioni is interested in relating to customers, not simply completing as many jobs as possible in a day. I had outstanding service from both Norm and Jared in what was a very stressful situation for me due to a power surge/outage at my house. Their reassurance did a lot to calm my concerns. Five stars all the way. Jared was very clear on what he was doing and why. He gave me options not scare tactic, like some companies. Jared was very thorough and friendly and made my family comfortable with him working in the house. Everything seems to be working great and i have asked that he be our guy should we need anything in the future. He agreed. It is important to our family that we build a relationships with those that provide a service for our family..... so that they are an extension of our family, building a level of trust. I can see that being possible with Jared and the Mattioni company. Jared C. from Mattioni Plumbing, Heating & Cooling replaced a hot water tank in an exceptional, professional manner. He was polite, careful, attentive to detail, and cleaned up when finished. His explanations for questions I asked were thorough and completely understandable. His workmanship and care for detail was exceptional. I highly recommend this technician for others, and I'll ask for him in the future. Easy and quick scheduling. Jared and Derek did a great job and were very professional. Jared reviewed all pricing prior to starting work and made some recommendations. Will definitely use again and continue to recommend. Jared and the people in the office always go out of their way to be as helpful as possible. It's always a pleasure to deal with them. We have always been treated very well by the staff of Mattioni's, from the office personnel to the mechanics who come to the house. We are always told about the work and what is being done for our understanding. 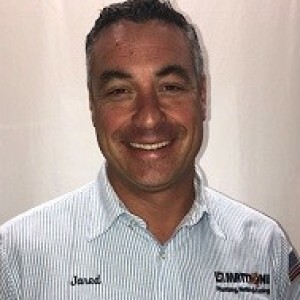 I had my faucet replaced today by Jared from Mattioni Plumbing he was excellent, neat as pin, very pleasant to deal with I would highly recommend them for all your plumbing and heating repairs. Mattioni returned my call first thing Monday morning, Jared. C. was at my house addressing my issues within a couple of hours, their prices were good and he was professional and knowledgeable. Jared and the entire staff at Mattioni Plumbing were awesome. I wasn't expecting the prompt service that received. I thought I would have to wait till the next day. But I was scheduled for service the same day. Jared arrived between the time I was given and explained everything clearly and had my plumbing issues repaired within an hour to hour and a half. I will always use your service. This is the second time that I was given fast and efficient service. Today was the second time that I used Mattioni Plumbing. I called and they were very courteous and pleasant on the phone and listened as I explained my issues. They were able to have someone come to my home today. Jared was prompt and explained things to me and went right to work. He had my problem solved and the problem fixed in about and hour / hour and a half . He explained what he did and what will need to be done in the future. I will be using Mattioni 's for all my plumbing issues. Thank you Jared and Mattioni Plumbing. Jared was professional and patient with our questions regarding our plumbing and offered options we could implement. Thank you. Jared was very professional and courteous. He explained what the problem was and how would be able to repair the issue. If any of our neighbors need a plumbing service, I will highly recommend your team to them. On time, actually early, great service. Will use for all future plumbing needs. We were new to the area. Talked to a couple of firms about the range of our plumbing, HVAC and heating related needs, but could not get a clear, integrated solution. Our immediate need was grab bars for bathrooms, but also wanted to discuss the other (old house) issues. They coordinated getting parts with us so we could get what we wanted and some good prices. They sent someone (Jared) out for my immediate needs and to do an inspection. He understood our situation and what we were trying to accomplish. He got the ball rolling on the immediate needs and later that day people from their HVAC division come over to gather more details. They proposed a solution that leveraged the good parts of the current system, upgraded our older AC, incorporated a heat pump, and integrated elements of our existing oil heat and hot water system. Net result, dual fuel system that should lower energy cost and operate with a smaller whole house backup generator in the event of a power outage. Their approach and process is clear, through, upfront, and team based. It is a pleasure working with a team that includes specialists who work well together - and with us!! Jared and Derrick were very punctual,friendly, and accommodating. They provided professional service while installing our washer and dryer, as well as giving recommendations on how best to operate and care for the items installed. My wife should be well pleased. I would definitely call upon them again in the future. Thanks guys!